Interview: Earle Labor, Author Of 'Jack London: An American Life' A new biography of the writer behind Call of the Wild and White Fang explores the life experiences that informed those works. London grew up in poverty, says biographer Earle Labor. "He was a dreamer, and a visionary. And his dreams and visions almost always outran his finances." 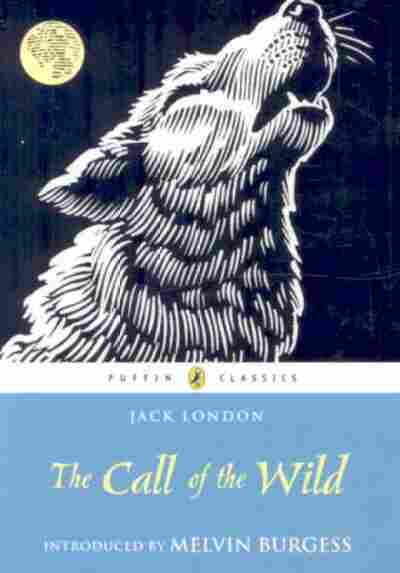 Jack London's 1903 The Call of the Wild was a sensation — it sold one million copies and made London the most popular American writer of his generation. He's shown above in 1916, shortly before his death at age 40. 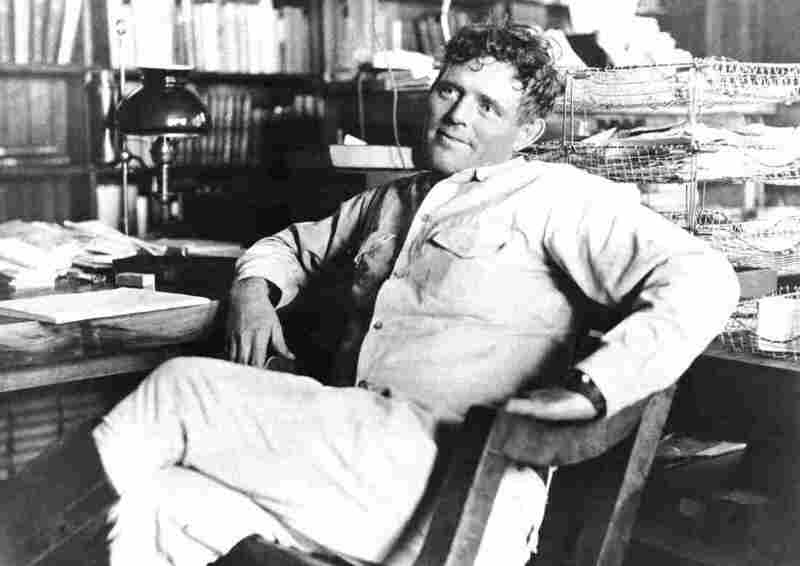 A literary critic once remarked, "The greatest story Jack London ever wrote was the story he lived." In his brief life, London sought adventure in the far corners of the world, from the frozen Yukon to the South Pacific, writing gripping tales of survival based on his experiences — including The Call of the Wild, White Fang and The Sea Wolf. 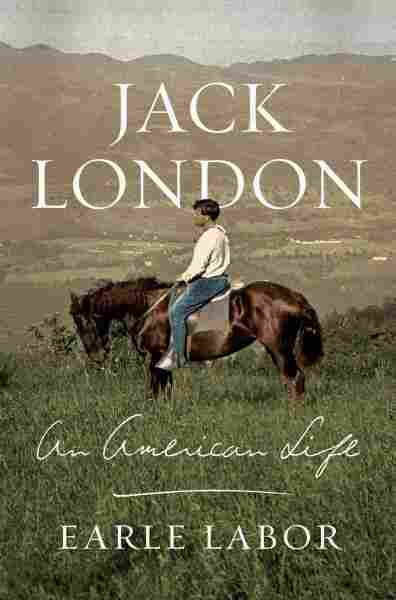 His story is the subject of a new biography, Jack London: An American Life, by Earle Labor, curator of the Jack London Museum in Shreveport, La. Labor wrote his first book about London in 1974, but the 85-year-old scholar says with London, there's always more to write. "He was a fighter. He was a terrific competitor. He wanted to win whatever he did," says Labor. "He was also a genius. He had terrific personal charm or charisma. Everybody talks about that. At the same time, while he was physically tough, he was emotionally sensitive. He could cry over the death of his favorite animal, or over the tragic episode in a novel." London was born in San Francisco in 1876 to a poor family. When he was 14, he quit school to work in a cannery — 15 hours a day for 10 cents an hour. By the time he was 18, he had sailed to the Bering Sea on the crew of a sealing schooner and hopped freight trains to Niagara Falls, where he was arrested for vagrancy and spent a month in the Erie County Penitentiary. It was a traumatizing time for London, who was precocious but still an adolescent. The only known recording of Jack London's voice is a 1915 letter he spoke into an early dictation machine. Dr. Carl Haber at the Lawrence Berkeley National Laboratory restored the scratchy sound from a wax cylinder. On the recording, London says he can scarcely think about the abuse he experienced as a teenager in prison, much less write about it. "What I found there was unprintable, and almost unthinkable," he said. Radicalized by his experience, London joined the Socialist Party, read voraciously and began to write stories and essays. He spent one semester at the University of California, Berkeley, then quit to join the Klondike Gold Rush in 1897. A dozen times he charged, and as often, the club broke the charge and smashed him down. After a particularly fierce blow, he crawled to his feet, too dazed to rush. He staggered limply about, the blood flowing from nose and mouth and ears, his beautiful coat sprayed and flecked with bloody slaver. The Call of the Wild was a sensation — it sold one million copies and made London the most popular American writer of his generation. London used his fame and money to embark on new adventures. He went to the Far East as a war correspondent. He sailed the Pacific in his own ship for two years, a trip that included a visit with headhunters and cannibals. And he wrote about it all. "He encountered a lot of people of different ethnicities, and he was able often to imagine himself inside of that group and see the world from their point of view," says Jeanne Reesman, director of the Jack London Society and a professor at the University of Texas at San Antonio. "To take the point of view of a young slave rebelling against his colonial masters in the South Seas, for example. Most people in America really didn't know anything about those people." London wrote 1,000 words a day, and he almost never revised what he wrote. Biographer Labor says London needed to publish because he was always broke. He was a dreamer, and a visionary. And his dreams and visions almost always outran his finances. But he wanted the best of everything. ... I think in some ways he was trying to make up for what he was deprived of as a kid. "He was a dreamer, and a visionary. And his dreams and visions almost always outran his finances," says Labor. "But he wanted the best of everything. He wanted the best barn. He wanted the best home. He wanted the best boat. I think in some ways he was trying to make up for what he was deprived of as a kid." After years of heavy drinking on and off through his adventures, London's lifestyle caught up with him. On Nov. 22, 1916, he died suddenly from kidney disease at just 40 years old. He left behind 52 books and 200 short stories — work that has influenced writers from George Orwell to Jack Kerouac. But Labor says London's artistry is only now being recognized by the literary establishment. "I think one reason is that he writes so clearly, that anybody with a good basic education can understand what he's saying. He puts the critics out of business," says Labor. Though London died young, his legacy and writings speak to a life lived with abandon. A journalist who visited London weeks before he died reported that London said, "I would rather be ashes than dust ... The function of man is to live, not to exist."